AMKE League of Legends Tournament Update, the Third: The Updatening. In the spirit of preparation, I’ve made a Battlefy page for the Anime Milwaukee 2016 League of Legends Tournament. I figure the more preparation I do now, the smoother the tournament will run when the time comes. Battlefy is the third-party program I used for the bracketing last year. It worked out then so I’m using it again this year. I ask that anyone registering for the tournament still email me (as detailed in the “Registration” section below). If you don’t get around to registering through Battlefy, I’ll do it using the information you include in your email. Regardless of how you choose to register (by emailing Mephisto), you and each member of your team must still go to the LOL Community Events page and register through them to receive prizes from Riot. 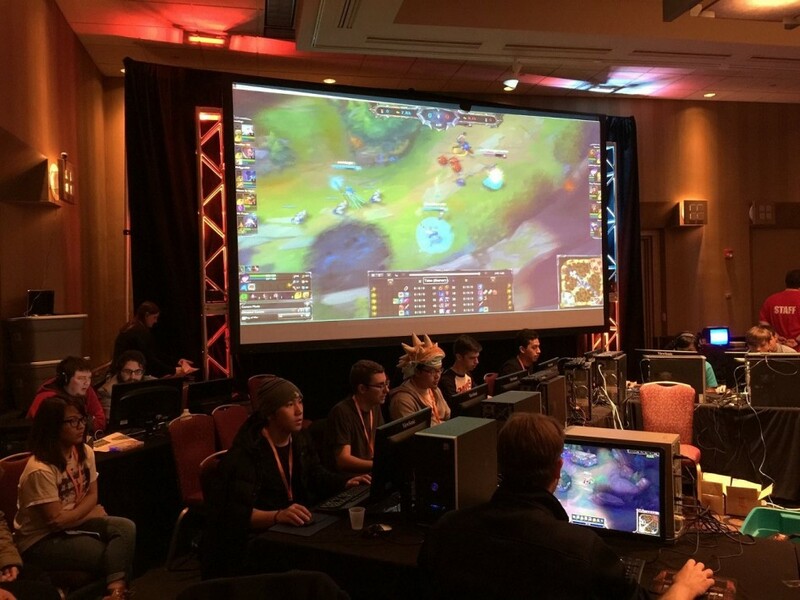 Summary: The AMKE2016 LOL Championship is an In-Person 5v5 Tournament. Both Premade Teams and PUGs or “Free Agents” are allowed to join. Whether Premade or Free Agent, signups close at 4 p.m. Friday, Mar. 11. We will be broadcasting the tournament on Twitch and doing some shoutcasting when able. Entrants: 16 Teams of Five. Each team is allowed one alternate. Players may not sign-up with more than one team. Format: Four total rounds. The first two rounds are single elimination. The semi-finals and finals are a Best of 3. There will be no third or fourth place matches due to time constraints. Tie-breakers will determine places. The bracket will be randomly seeded. Hardware: World9Gaming will be providing the actual PCs/Gaming Machines for the event. You are allowed to bring your own keyboard and mouse. We strongly encourage you to bring a headset or headphones. Additional Prizes: We’ll have an additional pool of VGR prizes of an Anime Nature. This is an Anime Convention after all. Registration: To register for the tournament please send an email to magicalmistermephisto@gmail.com with the Subject LOL Tournament Team (if you are registering a team) or LOL Tournament Free Agent (if you’re just registering yourself). Please provide your Team Name (if applicable), the Summoner and First names of all participants along with their roles, and contact information for the Team Captain (twitter, email, text/cell). Since Anime Milwaukee is a live event there will be an in-person signup sheet at the event. Registration for both online and in-person signups closes at 4 p.m. on Friday, Mar. 11. Note about Free Agents: Free Agents will be placed in a team by the tournament organizer based on a first-come, first-served basis and need. Please make a note if you’re signing up with one or two other individuals and we will ensure that you are placed in the same team with them. Thank you for your interest in both anime and League of Legends. I look forward to seeing you all at AMKE this year. As a personal note if you have any questions in general about video games, anime, AMKE, W9G, or other video game tournaments, feel free to email me. I’ll do the best I can to answer your questions or get you to someone who can.